Growing up, I think it's safe to say that my brother was the one child in my family who was a little more..."enthusiastic" than the rest of us. And let's be honest, every family has that one child that leaves a special imprint on your heart. Our family is no different. Enter Tomee the Cat. She is my second fur baby, my first girl, and she is a character! 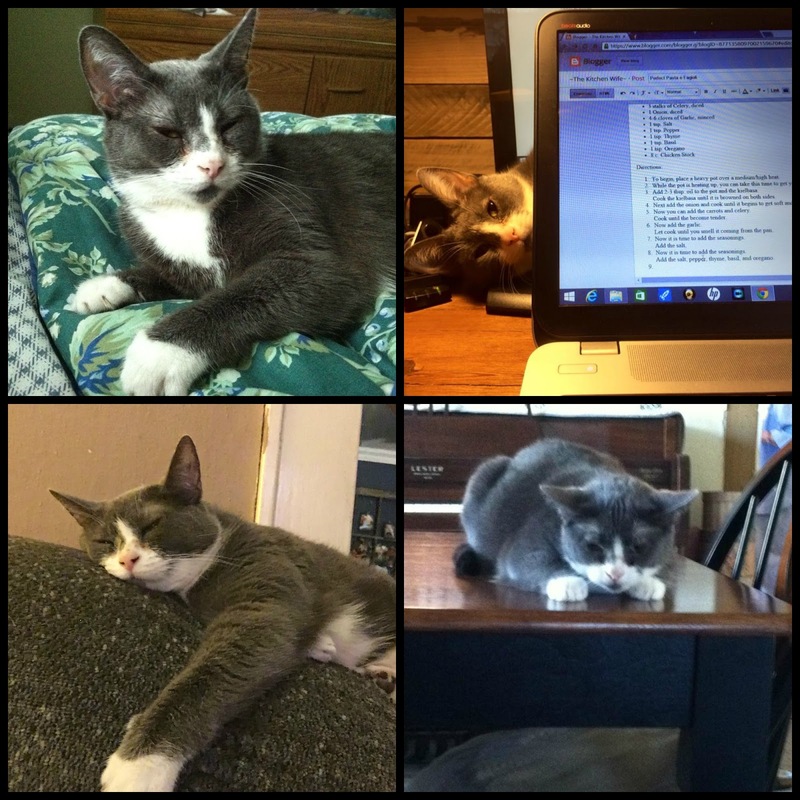 From the moment we met, I knew she was not going to be your typical cat. My husband and I had gone to the Humane Society to "just look." I was eyeing this beautiful Persian when all of the sudden something grabbed my hair from above. Pretty much the rest is history! She came home with us, and has been a ball of personality ever since! My Tomee girl is very precious to me, and because of that I want her to have the best of everything, including her litter. That's why I use Fresh Step Total Control with the Power of Febreze! Found only at Sam's Club, it includes Borate Technology that acts as a antimicrobial agent. This basically means that it inhibits the growth of odor-causing bacteria! WHO DOESN'T LOVE THAT!?! With it's 42 lb size, and lemongrass citrus scent, this resealable, easy-to-move bag will make sure that your special fur baby will have the cleanest litter environment possible! And to make cleaning up that environment a little easier for you, here is my personal trick to scooping the litter box without the mess. 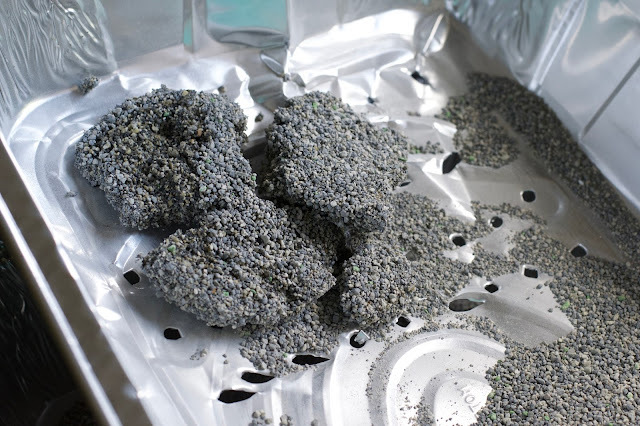 First, head to your local dollar store and pick up 6-8 aluminum pans to fit within your litter box. Then, with a phillips head screw driver, punch numerous holes in the bottom of all of them, but one. 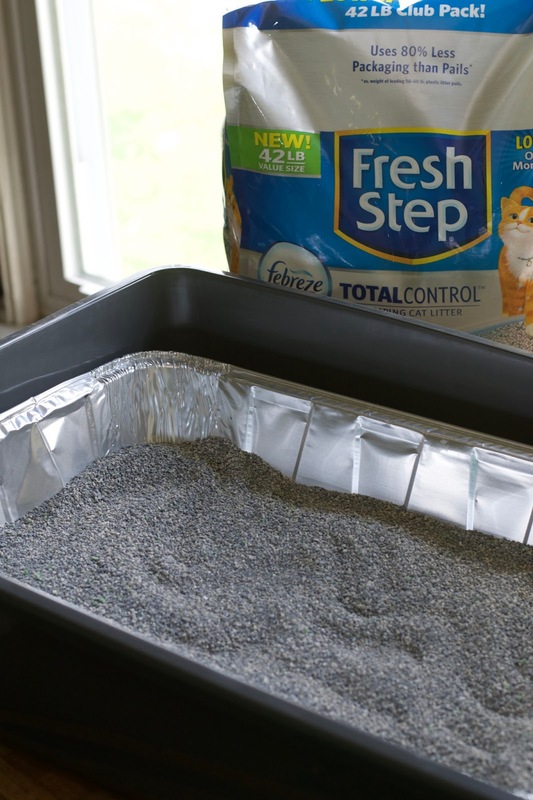 And fill with the Fresh Step Total Control Litter with the Power of Febreze. 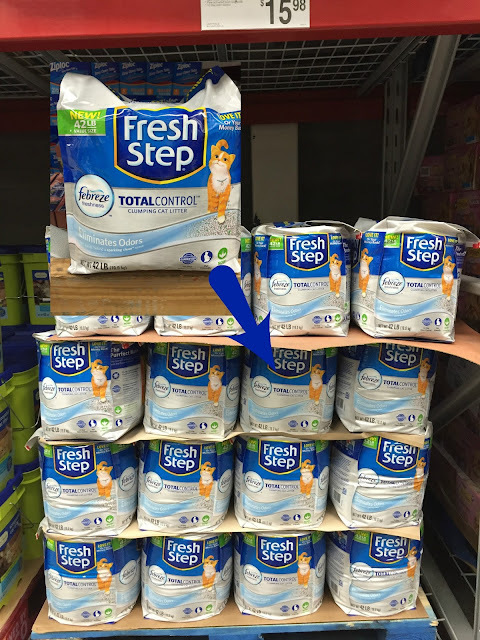 At the end of every day simply lift the pan out of the litter box, and the awesome clumping technology of the Fresh Step Total Control with the Power of Febreze will take care of the rest. Empty the contents of the pan into your garbage, and set aside for next week! 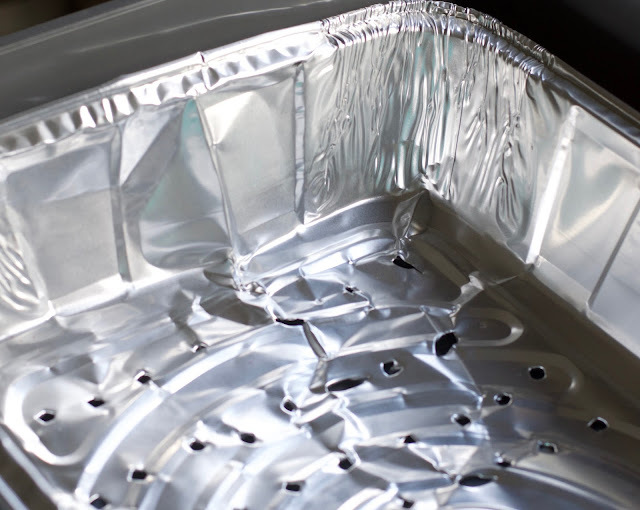 You can reuse these pans over and over! We have been Fresh Step Total Control with the Power of Febreze users for years, and have always been fans, but now I am even more in love with them as a company because, along with writing this post, Fresh Step Total Control with the Power of Febreze has also generously given me $100.00 to donate to The Humane Society of Parkersburg as well. This will help make sure that ALL animals can have the quality of life they deserve. So head on over to Sam's Club, use your instant $3.50 savings, available 5/11-6/5, and give this Fresh Step Total Control with the Power of Febreze a try. Also, I would love to hear about any of your tips and trick that make cleaning the litter box easier. Mandee, you are a genius! I am seriously going to get pans today. I have three cats and four litter boxes, and this will save so much time cleaning! Thanks Cari! 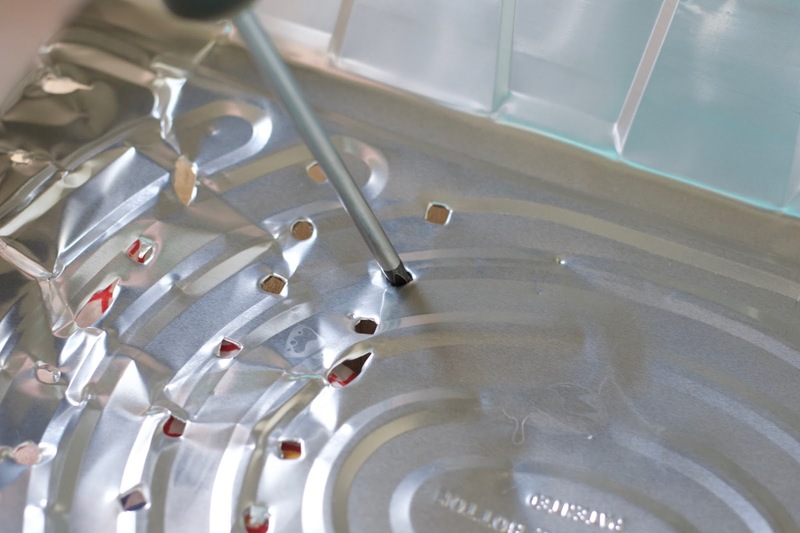 If you are doing several pans at once, I suggest a power drill. It will go a lot smoother. And your cat(s) have no issues with the pans in there? I'm pretty sure at least one of mine would be all no-way-thanks-buh-bye! We're Fresh Step fans in our house - that's awesome that they gave you a donation for the post. Love it! Love supporting local shelters. She doesn't though, I actually put a heavy amount of litter in my pan because she likes to dig (she is weird). I don't think she has ever gotten to the bottom of the pan. Me too! And it has a great scent! This is so awesome. We have a giant cat that needs an extra large box, and the pre-made sifters are always too small. 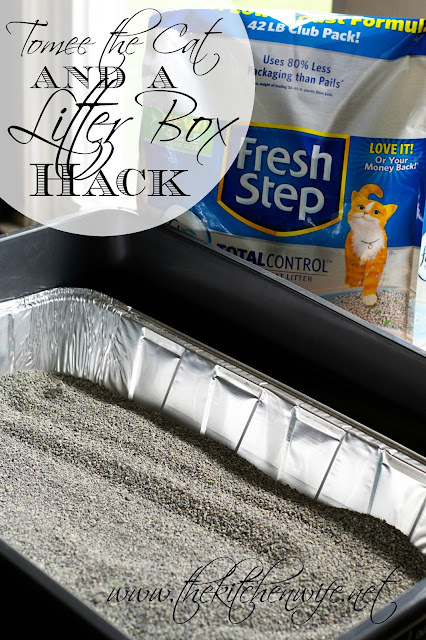 We used to have two cats, and this made scooping those giant litter pans SO MUCH EASIER! Love your cat story. We do not have a cat but I think your idea with the pan is genius. Great idea Mandee! I also love the febreeze in the kitty litter. Do you know if they have several scents available? And I love the fact that they are helping the Humane Society! Hi Diann, I believe that the only scent available at the moment is the lemongrass citrus, but I think other scents may be in the works per the survey I took. And yes, I was so amazed at their generous donation! I do all 6 at al time. That way you can scoop it everyday.